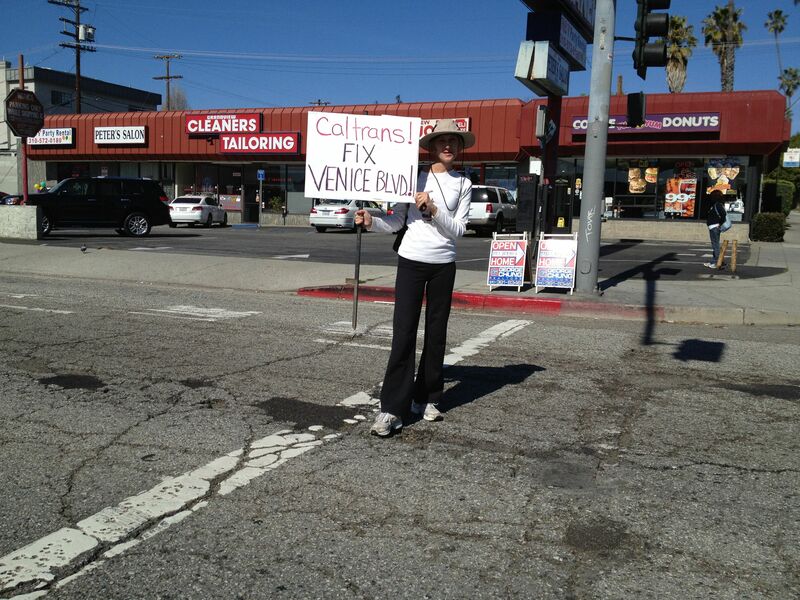 New Chamber of Commerce Excited About Great Streets on Venice Blvd. 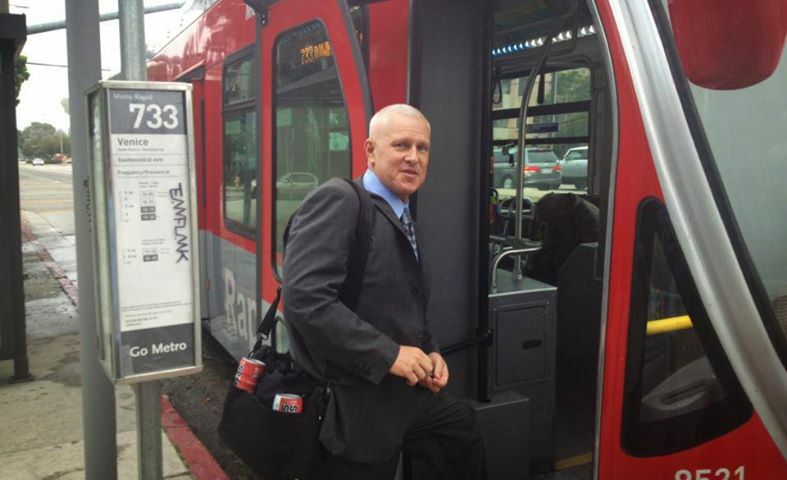 Mike Bonin is not someone who is known for thinking small. Bonin was speaking excitedly about the “Great Streets” designation granted to Venice Boulevard between Inglewood Boulevard on the east and Beethoven Street on the west. Great Streets is an initiative to take a section of street in each of the fifteen City Council Districts and turn them into great places to walk, bike, sit outside, or just be…just exist. While Bonin prefers the phrase “universe of opportunities” to describe everything that can be done, Mayor Eric Garcetti uses the term “urban-acupuncture” to illustrate the idea that these streets will be slimmed down to car traffic and opened up for other uses. Think of streets with trees for shade, modern crosswalks, clean and wide sidewalks, even just appropriately placed park benches and trash cans. “A small burst of energy can transform a community,” Garcetti is fond of saying. “One small change, especially if the community is behind it, can get things rolling,” Bonin echoes. So what will Venice Boulevard look like after it has been changed to a Great Street? And when will Venice, or any of the other 14 Great Streets, actually start to see improvements? There is not a good answer to the second question. Nobody seems to know when street improvements are going to come. “I have some ideas, but it’s really up to the community,” Bonin promises. During the 2013 election, Bonin offered a vision of a Venice Boulevard teeming with small businesses and a walkable community during our candidates’ forum. But when pressed in our Great Streets interview, he kept going back to the idea that this was the community’s decision. Each of the fifteen street segments throughout the city were chosen not just because of geography, but because they are a place where some sort of energy was already in place pushing change. This could be in the form of a coming state grant, an active business improvement district, or something else. The “small burst of energy” that Garcetti mentioned is already in place on the fifteen corridors. And it is the job of both the Mayor’s Office and the Council Office to help that small burst grow into something sustainable. On Venice Boulevard, the burst comes in the form of the newly founded Mar Vista Chamber of Commerce. Headed by Sarah Auerswald, the Chamber is embracing the idea of changing Venice from the mini-freeway it can sometimes be. The Chamber even has their own “Pop-Up” event scheduled on November 29. For the event, businesses along Venice Boulevard will move their storefronts onto the sidewalk, encouraging people to walk around the area, not just park, shop, and leave. Auserwald hopes the pop-up event gets people who aren’t thinking about changes to Venice to start thinking outside the box. In fact, she sees Great Streets as a great chance for the Chamber to stand out in the community. The potential handover of Venice Boulevard from Caltrans to the City is another burst that the Mayor’s Office is counting on. When Auserwald and I met at the Venice Grind last week (Streetsblog is a media sponsor of the November 29th Pop-Up), the road in front of our table was smoothly paved following the improvements that happened prior to the April 2013 CicLAvia to the Sea. However, that’s not the condition on the entire Boulevard. Under state law, Caltrans has to fix the road conditions before handing over control, a process that is in negotiation. With repaving comes other opportunities, but a Great Street isn’t just a smooth street. There has to be more. “We hope that in 10 years Venice Blvd will be a great, safe street, with a beautiful, sustainable design that encourages safe walking and biking alongside the cars that will of course still be driving on it as well,” Auserwald concludes. “We see better maintenance, new lighting, more retail and restaurants we can all walk to and enjoy. We see a main street bringing people to a destination: Mar Vista. Gil Cedillo exercises veto power and builds a rec center instead. So it sounds like “the people,” AKA “the majority” get to decide. This means it is very unlikely Venice will see any accommodations for bicycling, especially if it removes space from cars, because the majority can’t imagine a future where biking is a viable mode of transportation. This also likely means Venice will not be enhanced with BRT or bus only lanes. The street is so wide and when this whole process is done, it will likely still be a car-dominated realm with that excessively wide median that just throws a bone to non-car transportation. Democracy is great, but people don’t always have the best decision making skills and have a hard time making decisions that they don’t perceive as directly benefitting them. lastly, doesn’t mobility element call for cycle tracks on Venice? How will that mesh with the great streets efforts? Venice is an old Pacific Electric route, and slated for BRT (with potential future streetcar upgrade) in the Westside Mobility Plan. Hopefully the community engagement won’t turn out to be cover for old-timers blocking any change, but it looks like there’s some genuine good activism here – perhaps a product of the fact that people living near Venice in Palms and Mar Vista are younger and more progressive. Also, Bonin’s much more on our side of these issues than Cedillo or Koretz. Let’s keep an eye on it and make sure people turn out for bikes and BRT at the community meetings, anyway. Odds are that there won’t be a bikeway installation in the top priorities of a project designed by most of the 15 communities areas in the Great Streets projects. Where are the political leaders in this city that will step up and say that bikeways have to be included on these projects? How is it complete if it doesn’t include some safety improvements for bicycling on these major streets? The My Figueroa St Project is going to have cycle tracks because the consultants hired for the project had it included on each of the design choices. It almost certainly wasn’t included because the community insisted they needed protected bikeways. With so few people bicycling in this city, how many people would even know about protected bikeways for streets or even think that bicycling is important enough to include a safety improvement for it. Slight correction – the WMP describes its plan as “rapid enhancements” (with potential streetcar upgrade) rather than true BRT. Either way, it’s important to turn people out for these meetings. The Venice Boulevard Great Street aims to transform Venice Boulevard between Beethoven Street and Inglewood Boulevard from a car-centric street full of fast-moving traffic to one more friendly towards all road users. The project broke ground this morning.